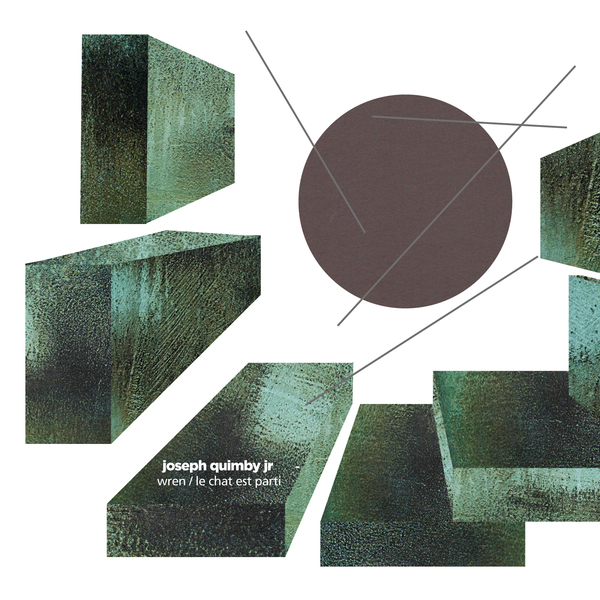 "Joseph Lawrence Quimby makes his monumental return to Tombed Visions with a double album of richly constructed and awe inspiring sound worlds. Both Wren and Le Chat Est Parti act as perfect companion pieces that solidify Quimby as one of the premiere voices working within the experimental ambient scene and shows, in abundance, a detailed and skilful consolidation of found sounds, textural manipulation and magnificent song craft . Of both cassettes, Wren has the darker heart and is built round two long form pieces that each stretch over 20 minutes. Viande Secète dark excavations soon moves from disquieting sighs of morose song into a shuddering hauntological dread whereas a ‘Return to Latvia’ glacial pace simmers into a blinding organ sunrise. This overblown radiance of color is shown again in opener Mensonge, whose organ tones grow round airport field recordings and climb to a brilliantly redemptive end. Ariane is perhaps the most majestic of Wren’s songs, whose stirring strings coruscate proudly through a sculpted, mechanical rhythm and offers tribute to one of Quimby’s musical heroes Jóhann Jóhannsson. The balm of this beauty is counteracted with a further jaunt into disquiet on Les Migrateurs as creaks of cello, snatched hummed vocals and a swirling alien exhale build curiously into a tapestry of audio ephemera. Le Chat Est Parti focus is more explicitly geared toward repetition. Bins might be the hit of the record; a gorgeous, nodding mind massage that throbs with the pulse of dub techno and blooms with every loop like some maximalist dedication to Oval. References to Markus Popp continue on Toute La Ville and Saint-Quentin-en-Tourmont, pinging across the mix spritely, citrus colors of clipped guitar tones awash with the sounds of the sea. Sans Sommeil and Scenes De Rue are voiced by lilting pianos, warm as they are ghostly and have a pronounced chamber music feel in their sensitive control of echo and space. Although sharing nothing in character, 2 Years and 9 Years are the most distinctive pair of songs the record. 2 Years clipped percussion and chirps of birdsong roll hypnotically and acts somewhat as palate cleanser in it sparseness. 9 Years is the truest song on the record, Quimby’s mournful voice simply framed by acoustic guitar and trampled gravel found sound, spilling forth a confessional tale of self-destruction that is markedly direct and all the more affecting for it. 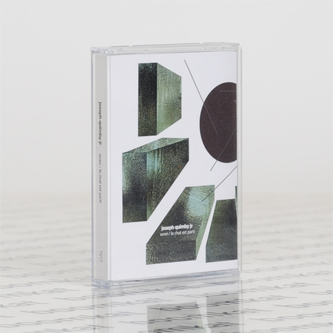 The breadth of Quimby’s compositional skills are shown in all their wondrous variety throughout both cassettes, offering a stunning multi-dimensional experience for the listener to travel through with their ears, revealing further treasures with every journey. It is without doubt his most assured and confident work to date and in turn his most beautiful."